Tricks are both enjoyable and extremely useful. 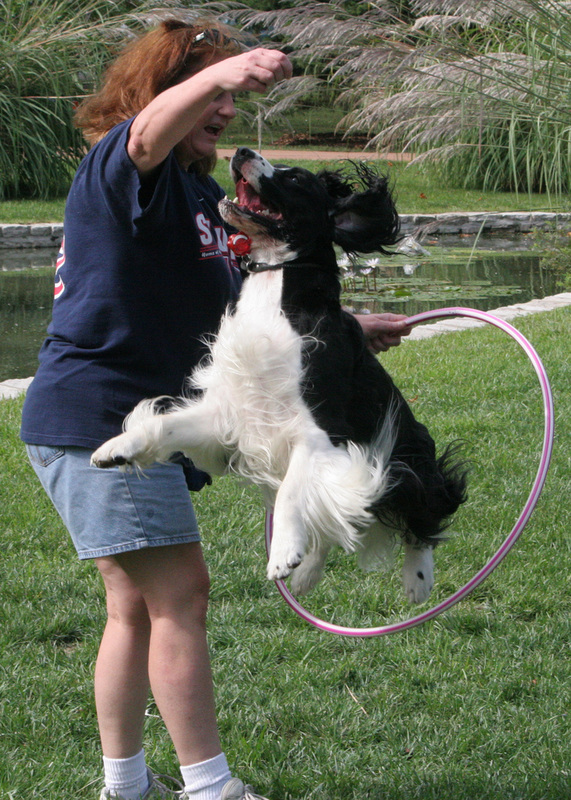 Really, dog tricks are not much different from a person performing gymnastics, doing algebra, dancing, sinking a putt or playing the piano – all learned physical and mental skills, practiced to perfection. Similarly, dog tricks are no different from basic obedience commands. The good thing about tricks is that everybody smiles, laughs and giggles — the best reward of all. In fact, in no time at all, performing the trick becomes the reward in itself, i.e., the trick becomes self-reinforcing. And the trick becomes a reward for other exercises. Asking the dog to “Give us a hug” is a great reward for a good down-stay on greetings, and allowing the dog to jump through our arms becomes a rewarding finale for a lightning recall. ​Have fun with your dog today!